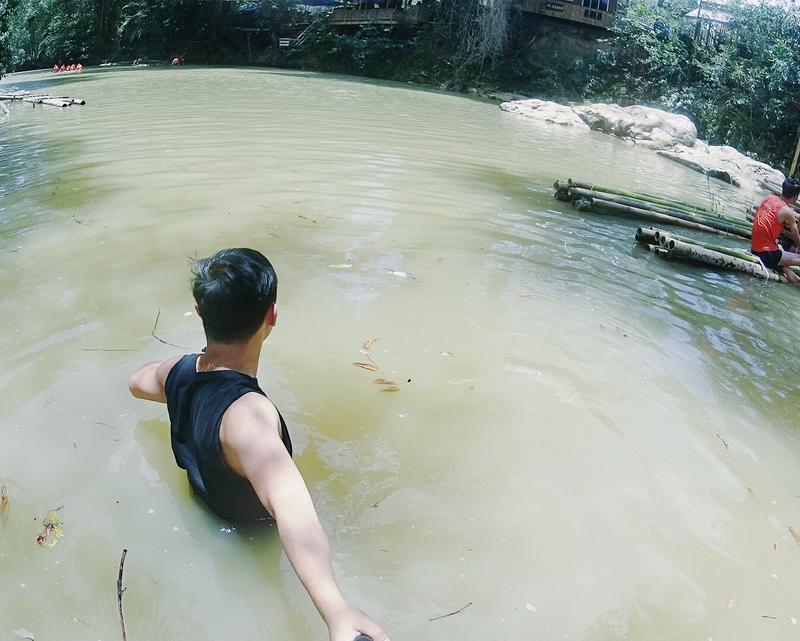 I like the water at Mandalipau as it generously flowing river compare to D'Buguk which is quite stagnant. Both really safe and great to swim but Mandalipau top the list. You can have mini-white water rafting over here. According to the local, I heard, even though it's raining, the colour of the water will not get affected compare to D'Buguk due to its location. Both are great by the way and it is up to you how you want to fill up your day. D.Buguk famous with floating raft where you can sit for hours and hours for beers, but it is limited. You can jump from the cliffs or BBQ and stuff. 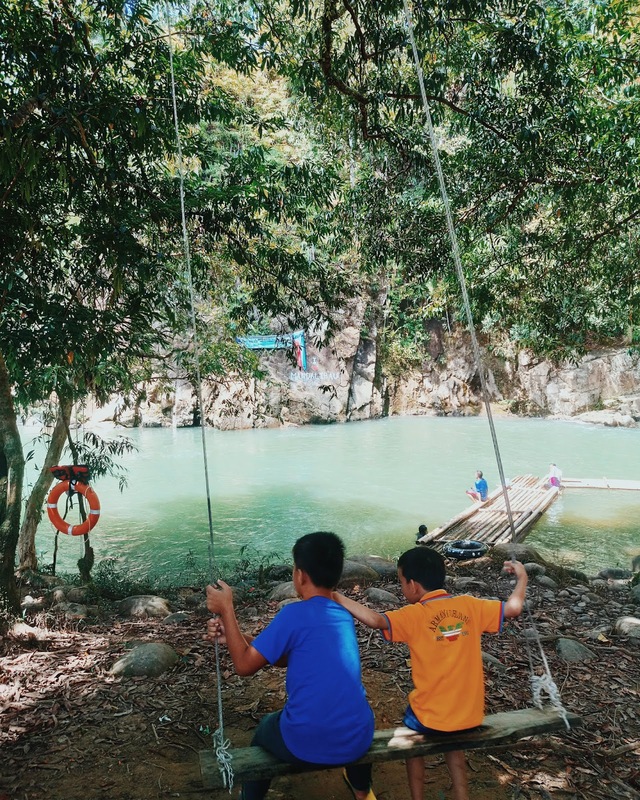 At Mandalipau, you can have mini rafting, jumping from the cliffs, BBQ and maybe just swing from on their famous underwater swing. So, it is a tie. Both are safe as they have all-day lifeguard ready to monitor and assist all visitors. 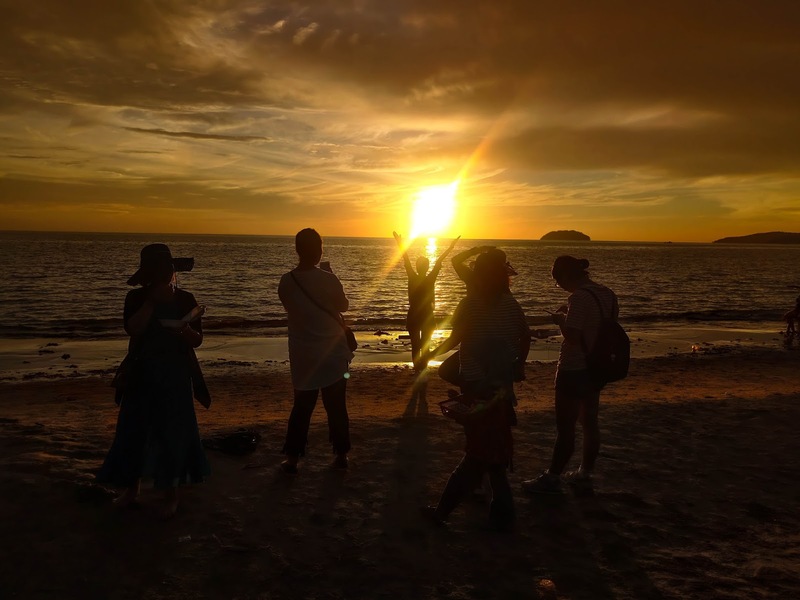 It is an awesome experience for both recreational activities and great to see how its impact the life of the local around -by giving job opportunities, much-needed development and etc. This is my observation and if you want to know more, go and experience yourself. ! It is a wish upon a star that everything will be fine as you dream and you pray for it every single night. The person that suppose to bringing light to your dreams, suddenly shower you with disappointment and you shattered to pieces, shattered. You start to think that the world against you and you are helpless and barely can't think straight. You just shut down your world and wish to escape from the fact that, he/she (the one that you believe, the one that you care, the one you smile at) now gone and never wish to be part of your life again. We believe time do heals and it could be longer than we anticipate. Soon, we realize, life too precious to mourn on someone that not wish to be part of our life. Who cares? At the end of the day, you are the only one that in-charge on your own happiness, nobody else. I do believe that, as we progress and shifted from the dark moment, we wish to escape and run and be alone for a while. 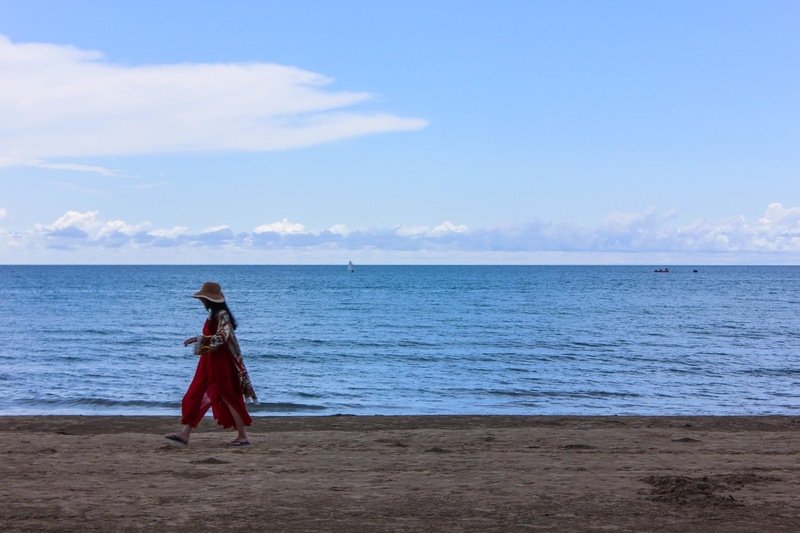 We wonder and exploring the vast world and here how it helps you get back to new you! You will learn that alone doesn't mean lonely. You will learn that you no longer need him side by side to find happiness. You will learn, being alone is the best things you ever had. 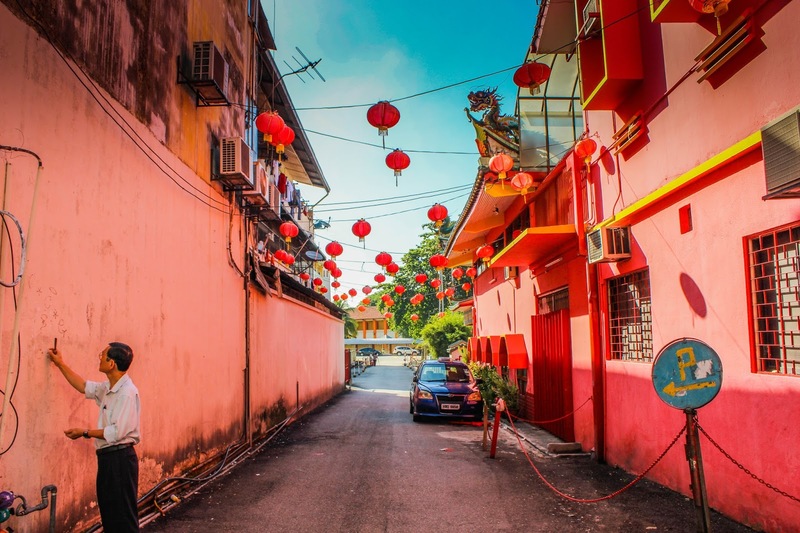 As you travel far beyond, there are plenty of things matters that you miss, strangers, travel buddies, friends and local people that give many memories that you miss out. Travel or being at different new places give ample space to breathe a little bit and you will have beautiful alone space that you needed. He is like a bad tooth, and its need to gets pulled off to reduce the pain. Yes, your tongue will linger around and you felt the missing space between your teeth. It took some time to get used to it, but you will no longer hold the pain. Travel will keep your head busy with silly things you might do. Travel keep your mind and body rejuvenate and at least, away from negativity. Being out and about to parts unknown, give back the missing soul and spirit. Either zip lining, spa massage or just sunset walk along the Jimbaran Beach will definitely keep your mind away from anything. Be presence. You potentially meet a new friend(s). Nothing wrong with exploring. You do you. Travel lead you to a destination that promises you the happiness and fun and enjoyment and you have every right to have that in many ways that you capable & safe for you. Get out and have fun! (coz he doesn't give you that fun! ).You will find different people that you can talk with and it will lead you to see things differently and hopefully heals that wounded heart even for a little moment. We have to admit, it feels like you want to disappear from the radar, lost somewhere where you won't remember even a little piece of both of you. That push and trigger inside of you to escape to somewhere can be materialized with going somewhere, new places, new city, a new town or perhaps new streets. It did heal and most of us did it. We want to just fly somewhere or be somewhere where you can be alone and enjoy your time. Escape to your room and looking back at old pictures or his Instagram feeds is not the way we go. We heal through times and many other things. Travel, I believe one of it. It gives you the break time you needed, to get you fresh and understand the values of yourself. There's a vast world out there that waiting to be explored and you heal the broken heart. Hi guys, I want to share my solo itineary so that you can have a little info if you wish to go to Cebu. Yes, it can be done alone and by a group as well. This is my roughly what I have been through, yours could be different but this could be a good based for your plan. Enjoy ur adventures! Find Yellow Bus name Ceres heading to Bato via Barili. agent calling all passenger to Moalboal, you need to rush in. Please choose Bus With Air-Conditioned if available because it was hot. The journey to Moalboal will take 4 to 5 hours. OMG. the trafiic jam at Cebu City. The bus will stop at many locations to drop and get the new passenger. You can expect the bus will be full ! Bus conductor alert me when I’m about to reach to drop off area. They drop me in front of MCD Donald Gaisano Grand Mall Moalboal. Then I find Habal-Habal / tricycle driver that can send me to Canyoneering tomorrow - early booking and he offers me good deal-) I buy necessities before heading to hotel. 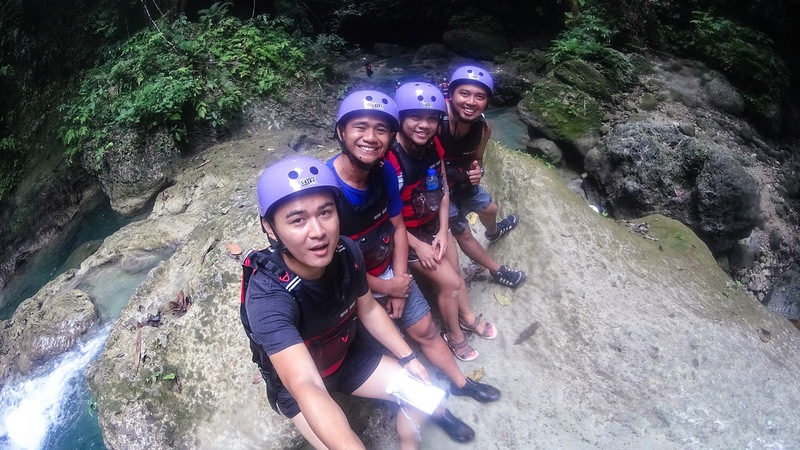 Check out and leave to Kawasan Fall at Badian. 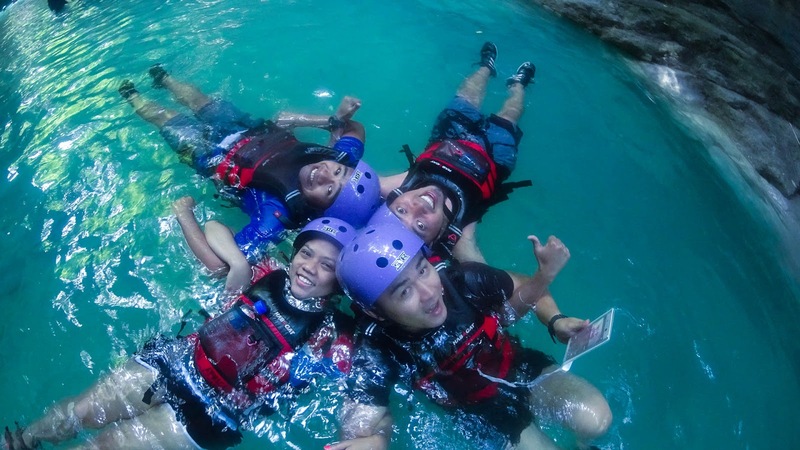 Start my Canyoneering (4 hours) - see my post on My Canyoneering Adventure in details. Arrive at Cebu and walk to Check in at SouthPole Hotel - 15 Minutes from Bus Station and then followed by night tour on my own - street foods, malls. Looking around for better fees (A lot of them and choose cheaper one) Register and wait for my turn to see the shark! You can expect long que due to many tourist. PHP 1500 include fees, facilities, and underwater camera. I suggest you take it. Arrive and do my Cebu City tour. Have a foot massage on street -). Have my early dinner. Headed to Cebu-Mactan International airport to catch a flight at 1.00 AM to Manila. 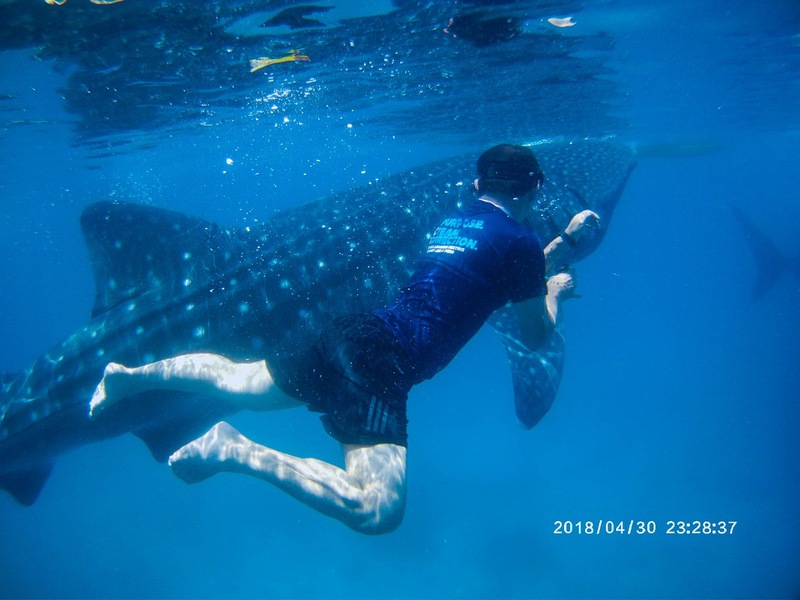 It always on my bucket list to swim with this beast and I got to make it happen! 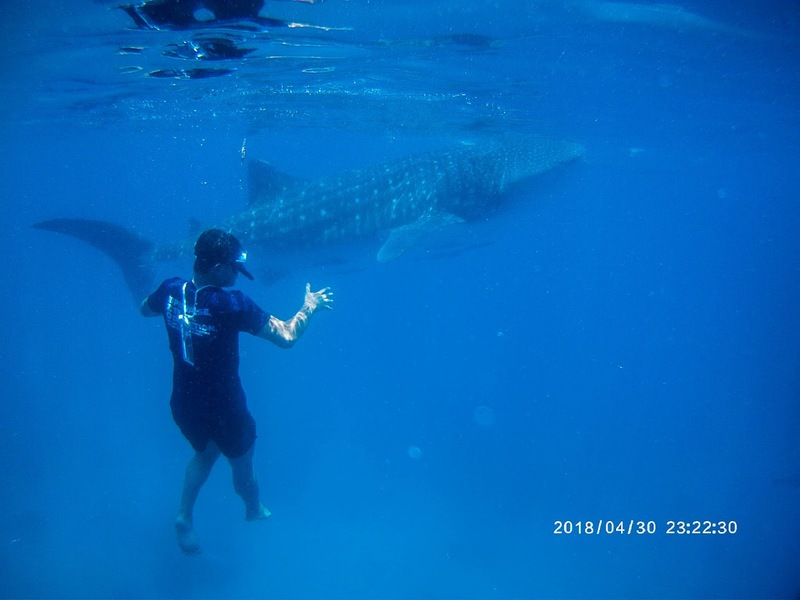 In my recent trip to Cebu, I got a chance to do! and here's how you can do it! They will notify you when your times is up and bring you back to the land. What an amazing experience! I will definitely do it again! You can have a shower afterwards at the respective tour agent. After I finished cleaning up myself, I headed back to the main street where I waving for the bus (Ceres Bus Yellow the sign CEBU CITY) going back to Cebu City, like 5 hours journey, to catch a midnight flight to Manila. I sleep at the airport while waiting for next flight! 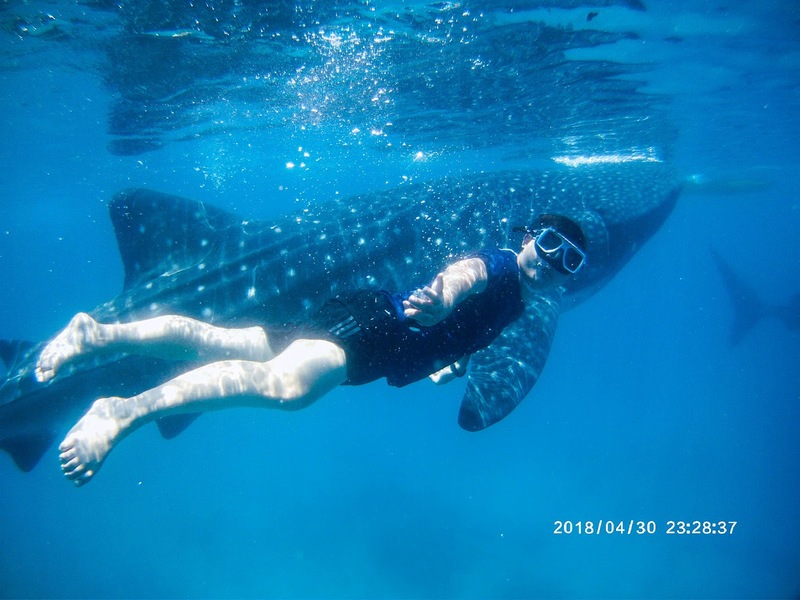 OSLOB Whaleshark watching experience is one the highlight of my trip. All my plans work accordingly and it is such a privilege to witness and being part of this event. Initially is it Boracay because it's a famous tourist destination and white beaches, party and stuff but I made right decision not to go there! They are closed! Kawasan fall located at Badian, Cebu. 3 to 4 hours plus drive from Cebu City. 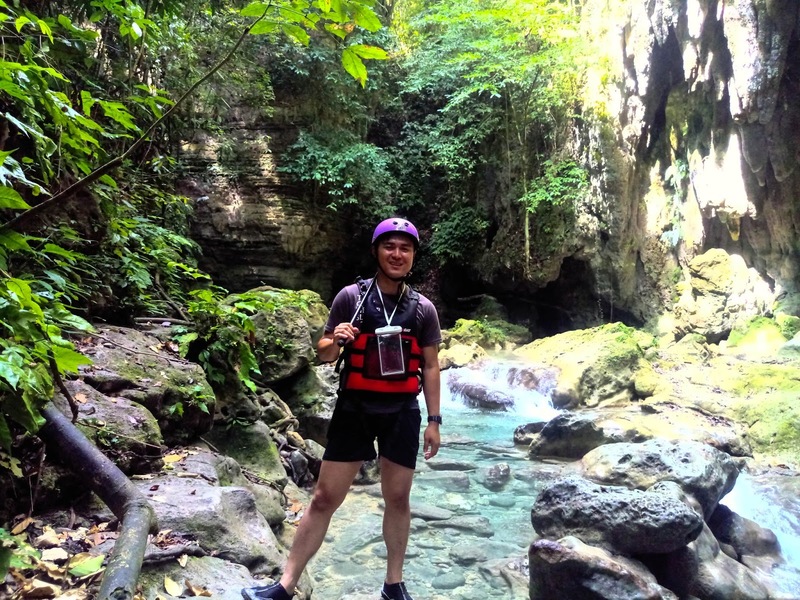 Canyoneering at first not on my list to do, because my initial plan was to visit Kawasan Fall. But, somehow God whisper in my ears and "You should go Canyoneering!" and he sent me one man, which is my habal bahal driver, and he had offered me a good deal - Canyoneering Adventure Package during my ride to the hotel from the bus station (Entrance Fees, Shoes, Water, Lunch & Pick Up Transportation) and I can't say no! 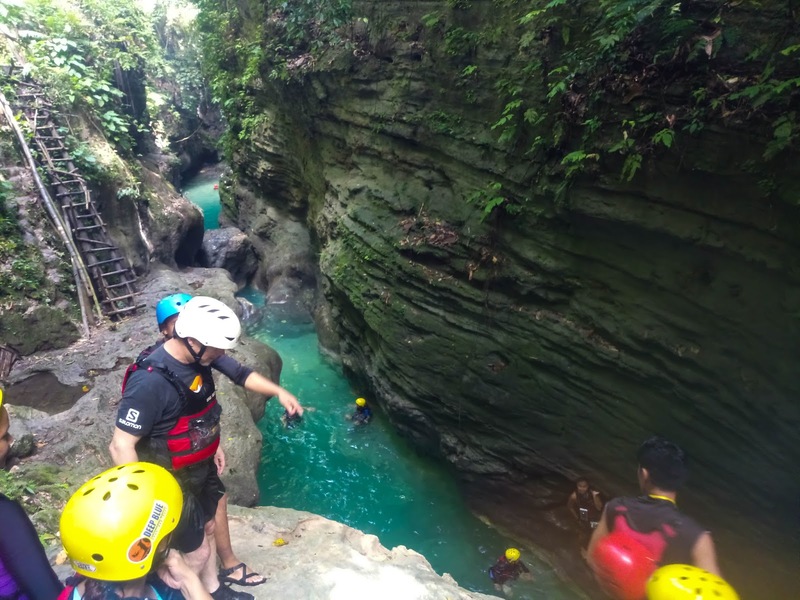 HOW TO GO FOR CANYONEERING AT BADIAN? When you arrive at Cebu Mactan International Airport, install SMART Sim Card for Grab! Book your Grab to Cebu South Bus Station Terminal. Peak hours will be 12pm to 3 pm means long queue. It is quite unique especially the queue, whereby you have to queue from the back of the bus station terminal building and make sure you find Yellow bus name Ceres that headed to Moalboal via Barili. This bus has two types - non-aircond and with air-cond. They depart every 15 to 30 minutes to Maolbaol. You got to listen and be aware when the bus agent mention " Bus to Moalboal" you got to rush to hop in! My advice - please use an air-conditioned bus, use non-aircond, it was hot! Imagine 4 hours journey with 7kg backpack and with the heat of Cebu island, and uncomfortable seat, I got burn not sunburn! 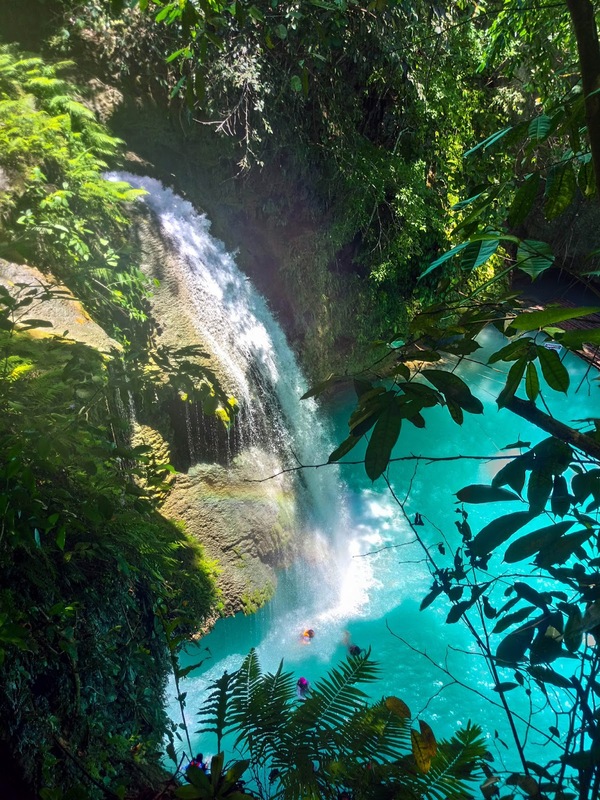 The reason why I go to Moalboal is that because that will be the closest destination or the pit stop to Kawasan fall area. 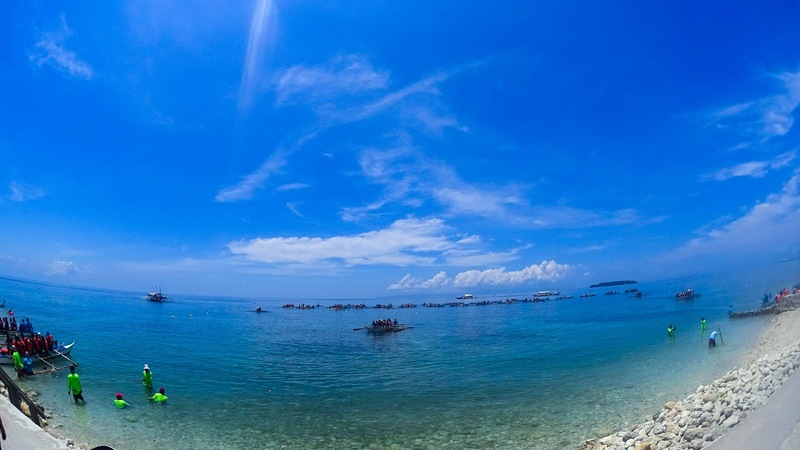 Moalboal is known for diving and white beach and it is a pit stop to the tourist that wish to go to Kawasan Fall. It only took 40 minutes to Kawasan Fall area compare to Cebu City, 4 hours. 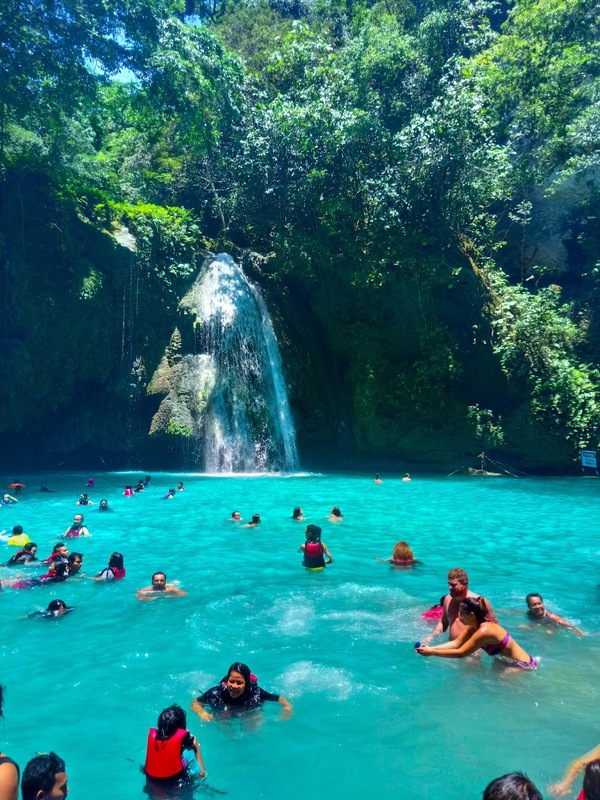 So, I would recommend stay one night at Moalboal and go to Kawasan Fall at early in the morning. How I know that I am about to arrive at Moalboal? Well, I use Waze to ensure the right destination and usually, the ticket agent will inform you when you about to arrive at your destination. If you don't have Waze, easy, you can track your destination by signboard of MC Donald Moalboal. The bus will drop you there. I start my journey from South Cebu Bus at 1.30 pm and reach Moalboal at 5.00 p.m. In-front of drop off area, there is one hypermarket where you can buy any necessities. 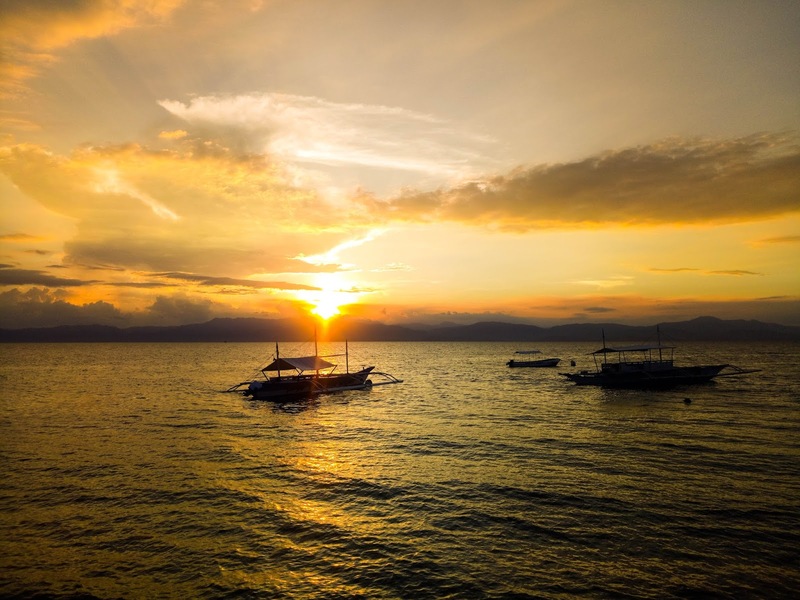 Moving around Moalboal is easy with a tricycle or habal bahal. It is a small town packed with tourists. 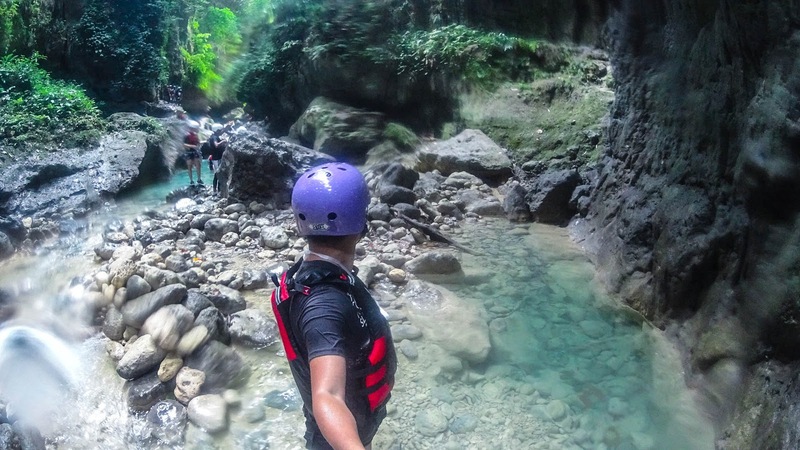 You can ask any driver of tricycle or bahal habal of they know anyone have a tour to Badian for Canyoneering, they will link you to someone they know, like how I did it. It is nice or convenient if you book private tour so, you don't have to get your head on transport arrangement. Actually, its' depends, you can rent a motorbike and drive to kawasan fall by yourself, like 40 minutes away. 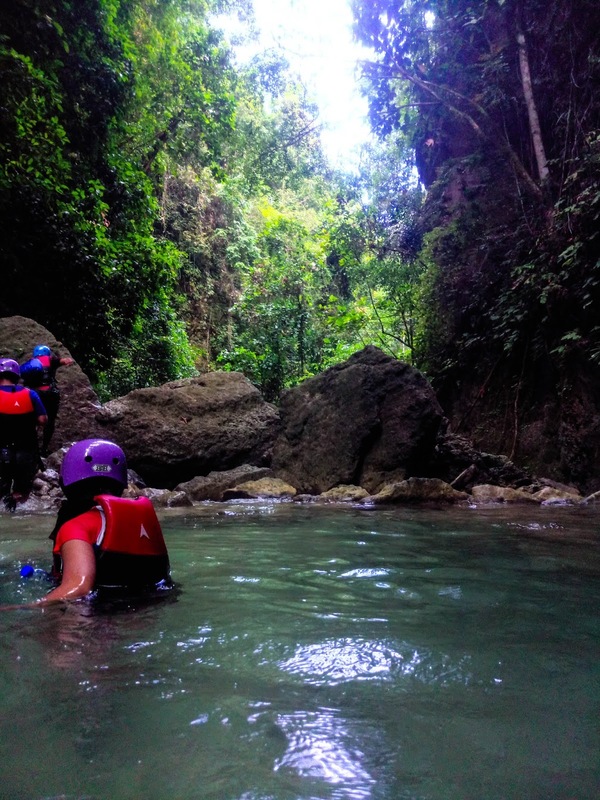 Canyoneering at Badian required at least 4 hours to complete. I depart at 6.30 am and arrive at the starting point at almost 8.00 am ( after the briefing, signing forms, and etc). Shoes are provided and all life vest is a must - included in the price. Start with a bit of hiking to the starting point and you will reach about 15 minutes or so. 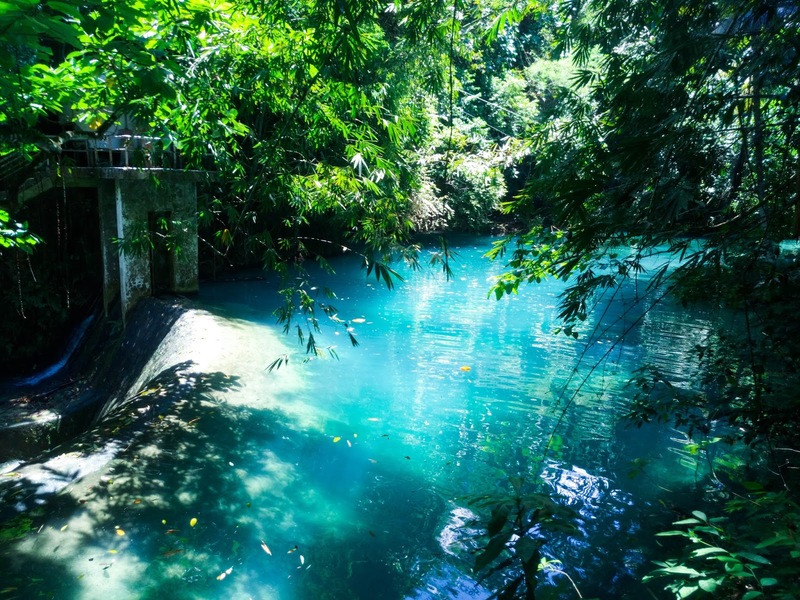 The water is so blue\turqouse like what see in the pictures! Magical! Always listen to your trained guide. They know the best area to jump, to walk and to swim! And they so kind to take the pictures for you. All you need to do just buy a waterproof handphone cover at the entrance for about PHP450 and just handover to your guide and he will take the picture of you for the entire journey! There will be a lot of walking through sharp or unstable rocks, so be careful not just to do catwalk-). Water is cold but not that cold and yes it is turquoise in colour! 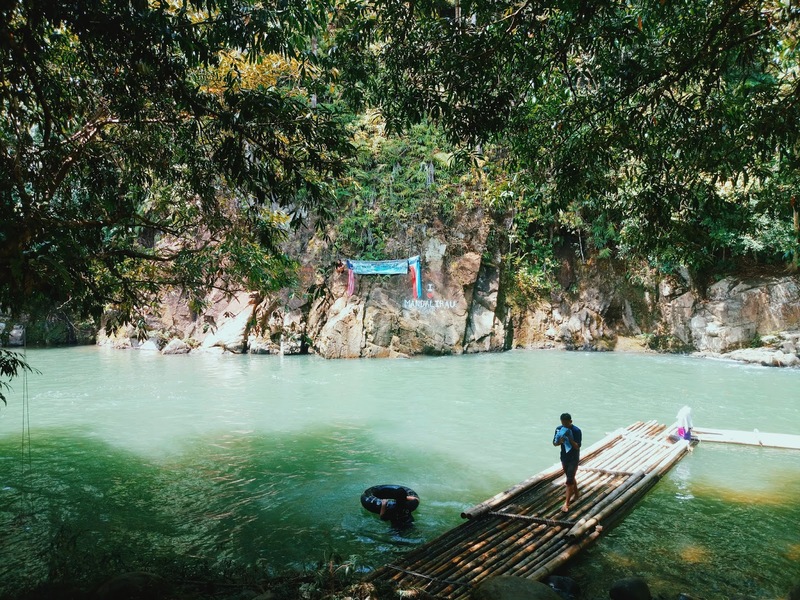 The last jump will be at Kawasan Fall 2nd level, 30-35 feet and I have to push myself few times for me to have the courage to jump from it. Probably the highest jump I have ever made. Throughout the adventures, I have made several friends who are in the same group with me, VL, Rod and Micheal. They are so kind and friendly. They also keep cheering for me to jump and jump! 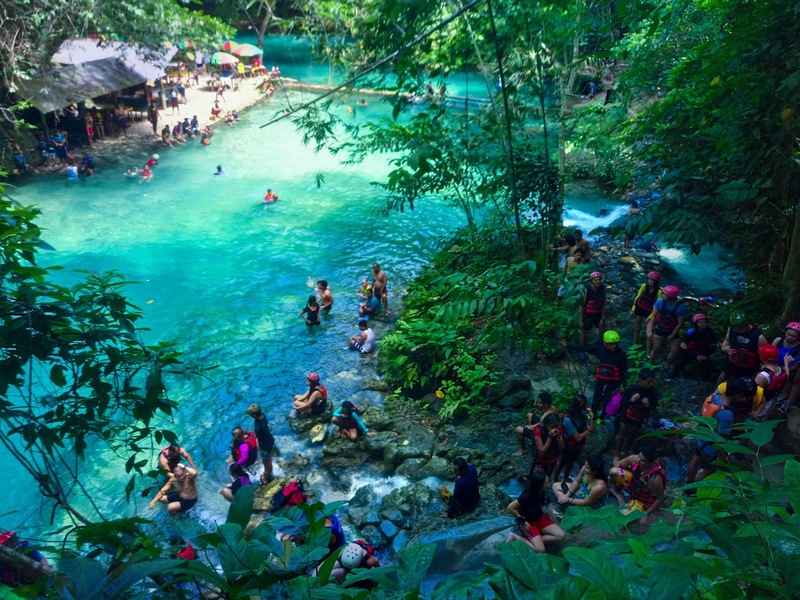 After vigorous 4 hours of adventure, the last stop will be at magical Kawasan Fall. When we arrived there, around 12.00 p.m, the place packed with people! 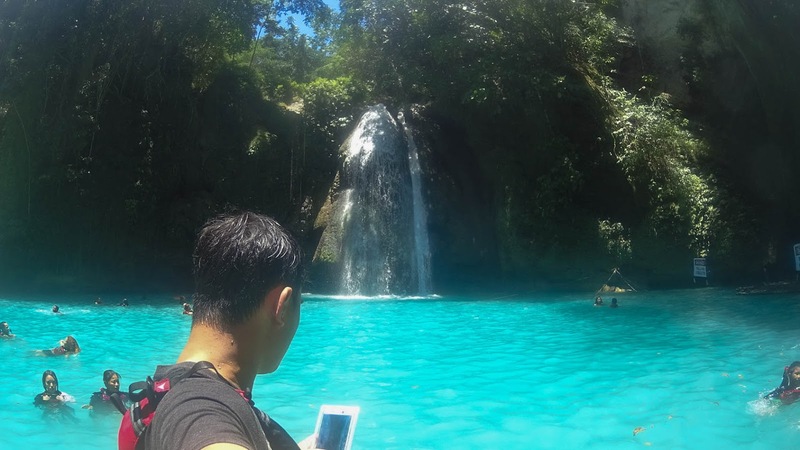 So, a mission to take solo photos at Kawasan Fall, not happening, but at least, I make my way there and being there is a blessing! After finish, me and my group transported to the house of our guide and have lunch there! It was very simple lunch nearby the sea and we all take a nap afterwards hahaha. After resting a while, it's time to say goodbye to my team as I heading back to Cebu City which is 5 hours drive. I wait nearby the road and waving for the bus (yellow) that go to Cebu. Very easy to catch a bus going back to Cebu as they passing by every 15 to 30 minutes! 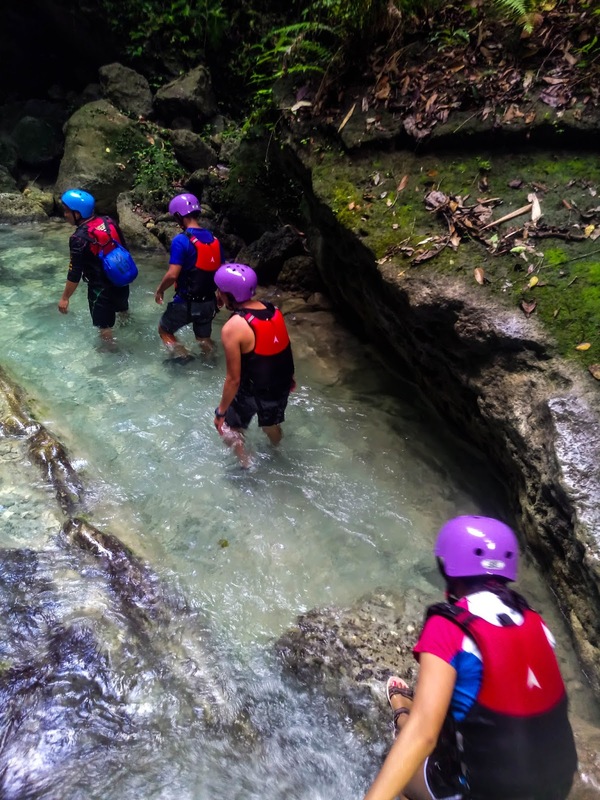 Canyoneering is a must activity. I have made a right decision do it. It takes a lot of guts to do the jumping and me , as the adventures junkie, it is one the best experience!